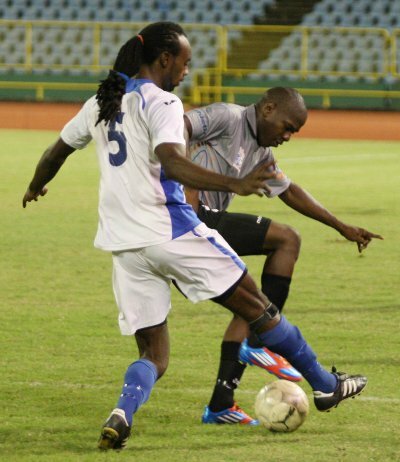 Former Pro League starlet Kerron Smith returned to the big stage with a bang last night as Super League outfit, WASA FC, stunned Pro League team St Ann’s Rangers 2-1 in Toyota Classic action at the Hasely Crawford Stadium, Port of Spain. It was one of three upsets yesterday as Super League and Pro League teams clashed in the knock out competition. 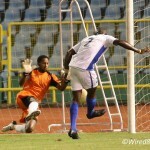 Photo: WASA FC midfielder Damien Pompey tries to beat St Ann’s Rangers goalkeeper Zane Coker in Toyota Classic action. West Side Starz edged Pro League rookie team, Central FC, 4-3 on penalties after both teams ended 1-1 at the Ato Boldon Stadium in Couva while, in Tobago, Stokely Vale humiliated Police FC 5-0 the Dwight Yorke Stadium. 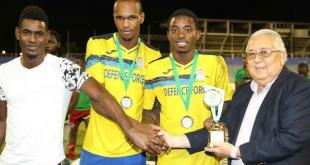 In the remaining Toyota Classic results, DIRECTV W Connection and Defence Force cruised to 5-0 and 4-0 wins respectively over the Defence Force Super League team and 1976 Tobago Phoenix respectively. North East Stars and Neal & Massy Caledonia AIA defeated Siparia Spurs and FC Santa Rosa 3-2 and 2-0 respectively while T&TEC FC edged Joe Public 4-3 penalties after a 1-1 tie in regulation time. 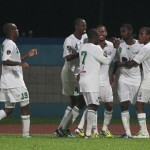 In Port of Spain, WASA had to earn its result the hard way. Rangers utility player Devon Modeste put the Pro League team ahead from the penalty spot in the 40th minute. 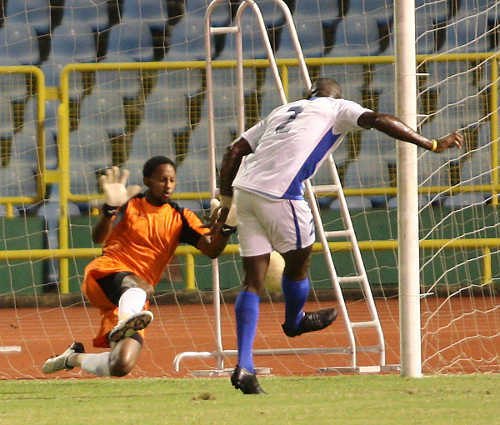 And it should have been 2-0 in the 75th minute as midfielder Jason Marcano was sent clear of the WASA defence but, with time and space, he dragged his shot wide of the far post. WASA was never out of the game though. The “Water Boys” had threatened in the 51st minute after a dangerous inswinging free kick from Dillon Peterson missed everyone and rebounded after the bar. But, seconds after Marcano’s tame finish, the Super League did get on the score sheet as the towering Smith, who made his Pro League debut as a teenager for W Connection, was played through the Rangers defence and finished with a clipped finish over goalkeeper Zane Coker. Photo: St Ann’s Rangers utility player Devon Modeste (right) tries to evade WASA FC defender Akil Harley during Toyota Classic Cup action. 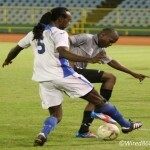 Glen Walker was introduced off the bench to join ex-San Juan Jabloteh attacker Kerry Noray and Smith. 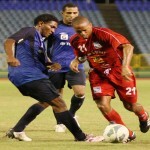 Rangers coach Dean Pacheco introduced former England-based attacker Hector Sam but his team could not regain momentum. There were shouts for a penalty by WASA in the 89th minute as a Fabian Garcia cross struck the hand of Rangers winger Andrew Smith inside the area. But referee Keenan Marcus ruled, understandably, that the Rangers employee had not moved his hand towards the ball. 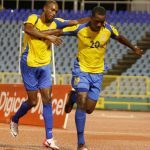 But, a minute later, WASA got its fairytale goal as Garcia whipped a cross into the penalty area and Walker rose to finish with a thumping header. In 2006, WASA beat North East Stars on penalties to lift the TTFF FA Trophy in its most famous day so far. There is a long way left to match such success but the Water Boys may well be dreaming again. WASA FC: 34.Denzil Carabon; 28.Ethan Robinson, 20.Dillon Peterson, 5.Akil Harley, 15.Cleveland Cambridge, 2.Damien Pompey, 8.Kevon Henry (capt), 14.Jahhan Hernandez, 19.Dillon Kirton, 27.Kerry Noray, 6.Kerron Smith. Subs: 7.Fabian Garcia, 18.Shane Calderon, 26.Glen Walker. Unused subs: 1.Michael Woods, 23.Steven Edwards, 24.Michael Waldron, 30.Kirth Hutchings. St Ann’s Rangers: 1.Zane Coker; 24.Jovon Pardassie, 13.Christon Thomas, 12.Jamal Jack, 5.Justin Harper (31.Andrew Smith 65); 29.Cecil Jeffrey, 15.Mikhail Awai (capt), 7.Jason Marcano (9.Hector Sam 79), 20.Kyle Bartholomew (26.Julio Noel 86), 10.Devon Modeste, 14.Cameron Roget. Unused subs: 22.Akel Clarke, 28.Kurdell Braithwaite.